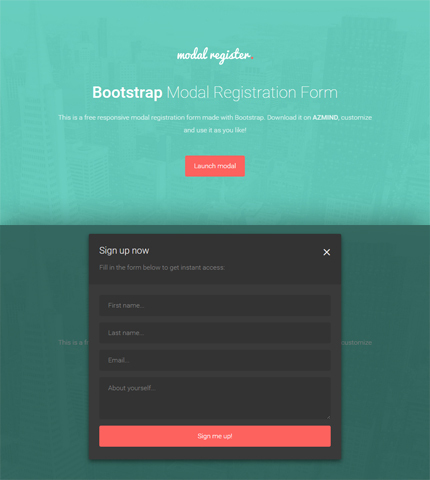 Today’s freebie is a package of modal Bootstrap registration forms containing 2 different templates to integrate in your projects or just to learn from them. 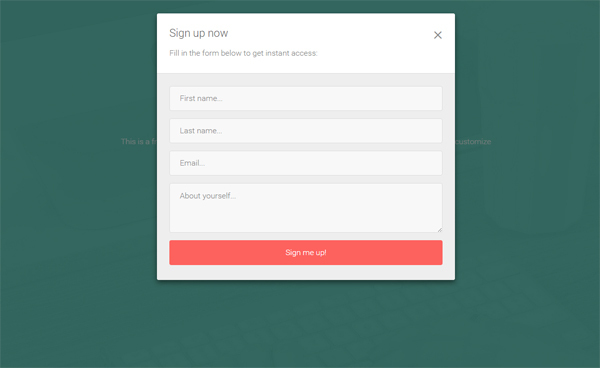 To create these modal forms I used these other forms published a few days ago, took a quick look to the documentation link above and made some customizations to create this package that you can download below. 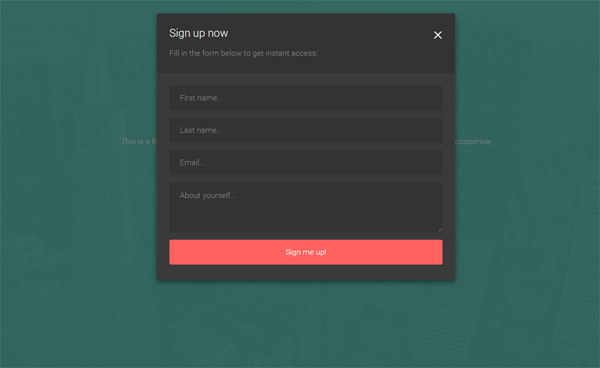 These 2 templates include: a light modal registration form and a dark modal registration form. 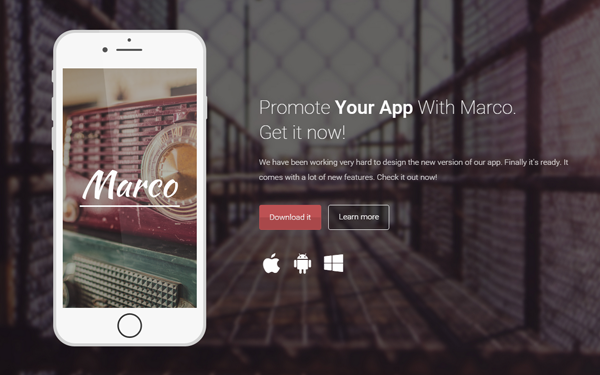 They can be used for example, in a website to give users the possibility to sign up without leaving the page. Take a look below for the full list of features, the live preview link and the download link. You can use these modal registration form templates in personal and commercial projects, but you can’t sell or distribute them directly, “as is”. If you plan to use them, a link to this page or any form of spreading the word will be much appreciated. 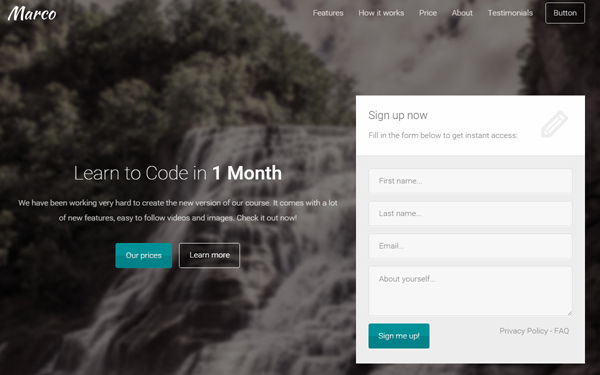 is it possible to launch modal window from server side in bootstrap? I am using this form for my project.